ZX Spectrum 16k / 48k Keyboard Mat Color Black	 0 days, 00h:39m:07s	 £20.74 Buy now! ZX SPECTRUM 16k/48k Fluorescent keyboard mat Blue	 0 days, 00h:41m:37s	 £20.74 Buy now! ZX SPECTRUM 16k/48k Fluorescent keyboard mat Black	 0 days, 00h:44m:56s	 £20.74 Buy now! ZX SPECTRUM 16k/48k Fluorescent keyboard mat Red	 0 days, 00h:47m:49s	 £20.74 Buy now! ZX SPECTRUM 16k/48k Fluorescent keyboard mat White	 0 days, 00h:49m:34s	 £20.74 Buy now! Sinclair ZX Spectrum +2 Grey Model Tape Drive Belt Set	 0 days, 00h:54m:22s	 £8.29 Buy now! DivIDE PCB	 0 days, 03h:15m:53s	 £12.44 Buy now! 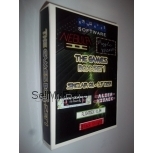 External ROM 32KB for ZX Spectrum 16K / 48K	 0 days, 03h:20m:40s	 £16.59 Buy now! External ROM 32 KB - DIY Kit for ZX Spectrum 16K / 48K	 0 days, 03h:26m:52s	 £14.93 Buy now! Soundcard Interface DIY Kit for ZX Spectrum 16K / 48K	 0 days, 03h:34m:31s	 £22.40 Buy now! ZX Spectrum 16K/48K Keyboard Mat - Color Blue	 6 days, 03h:54m:23s	 £20.74 Buy now! ZX Spectrum 16K / 48K / 128K+ Keyboard Connector Set	 8 days, 03h:45m:52s	 £4.97 Buy now! ZX Spectrum Keyboard Faceplate, Keyboard Mat Black & Keyboard Membrane	 9 days, 18h:07m:19s	 £48.96 Buy now! ZX 81 System Bus Edge Connector	 16 days, 00h:52m:31s	 £4.97 Buy now! ZX 81 / ZX Spectrum 16K/48K Keyboard Membrane Connector Set	 25 days, 02h:24m:20s	 £4.14 Buy now! Heatsink for ULA Sinclair ZX Spectrum 48K Plus	 25 days, 02h:30m:23s	 £3.31 Buy now! Keyboard Membrane for ZX Spectrum 16K / 48K Issue 1 to 6	 25 days, 02h:32m:28s	 £14.10 Buy now! ZX Spectrum 48K Axial Capacitor Mod Kit & Composite Video Mod Kit	 25 days, 02h:34m:30s	 £7.46 Buy now! ZX Spectrum 48K Capacitor Mod Kit & Composite Video Mod Kit	 25 days, 02h:37m:33s	 £7.46 Buy now! Replacement Electrolytic Capacitors for the "Toast Rack" ZX Spectrum 128K	 25 days, 02h:39m:35s	 £8.29 Buy now!